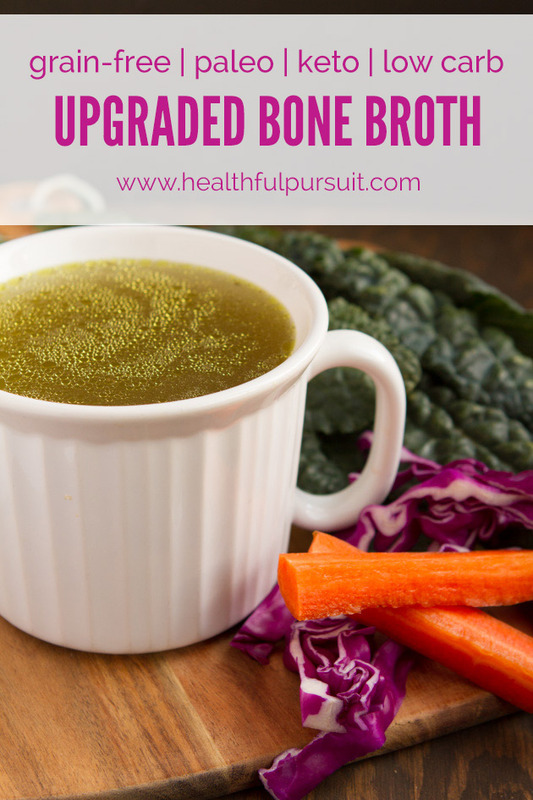 Making bone broth in a pot or slow cooker and ready for a serious upgrade? Instant Pot! I’ve been making batches of bone broth, ready in 1 hour and the bones are totally broken down! It’s like a slow cooker on CRACK! 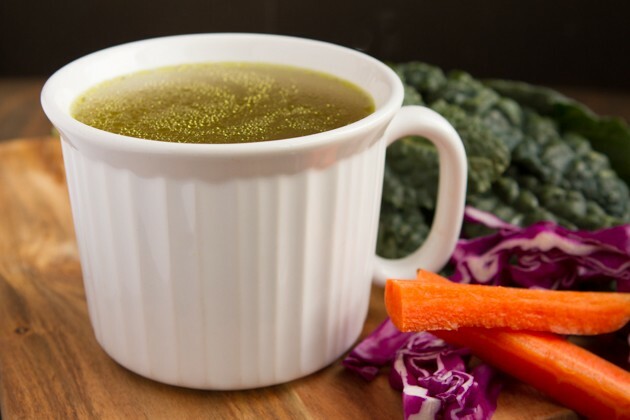 Last month, one of my girlfriends was overjoyed about a kitchen appliance; the Instant Pot, that made bone broth in under an hour, completely disintegrating the bones, producing the richest bone broth in the whole wide world. “No way that’s actually a thing”, I challenged her. Sparked my interest, though. Not only because I drink a lot of bone broth (read: multiple cups daily), but she claimed that this Instant Pot machine acted as a 7 in 1 appliance: a pressure cooker, slow cooker, rice cooker, saute/browning, yogurt maker, steamer and warmer. It basically does everything I do to food on its very own. No effort needed. The reviews for Instant Pot IP-DUO60 (the model that I ended up getting, and loving) are unreal. I lightly mentioned the machine to our community and you were all very vocal about your love for the coveted Instant Pot. From cooking pork chops in 20 minutes, rice in a couple of minutes, steamed vegetables in seconds, making dairy-free yogurt, warming leftovers and sauteing meals from start to finish. Most of all, you were all very pleased with how much safer it was then a slow cooker. The thing about my slow cooker: I don’t trust it. I have a hard time leaving it on while we’re sleeping or away from the house. It makes me uneasy. With my Instant Pot, I don’t have to worry about this because meals are ready so quickly. Instead of a meal taking upwards of 8 hours in the slow cooker, an Instant Pot meal is ready in an hour. Your love for the Instant Pot encouraged me to reach out to the company to see if they would put together something for you. You know, because maybe you’ve wanted one but were waiting for a sign to make it a done deal? This is that sign. 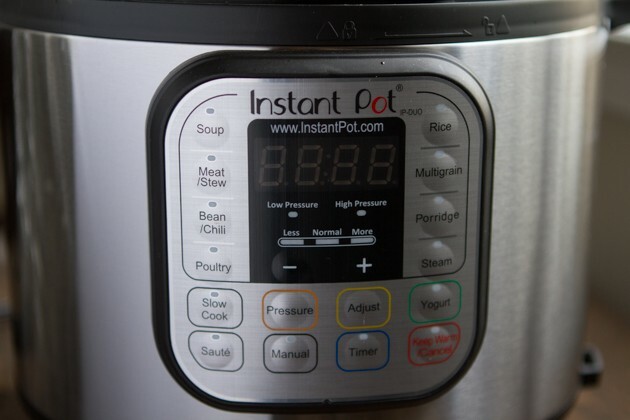 Heck, even if you weren’t waiting for a sign; if you had no idea what an Instant Pot was until you read my post today, it’s worth looking into and seeing if it’s something you’d benefit from. 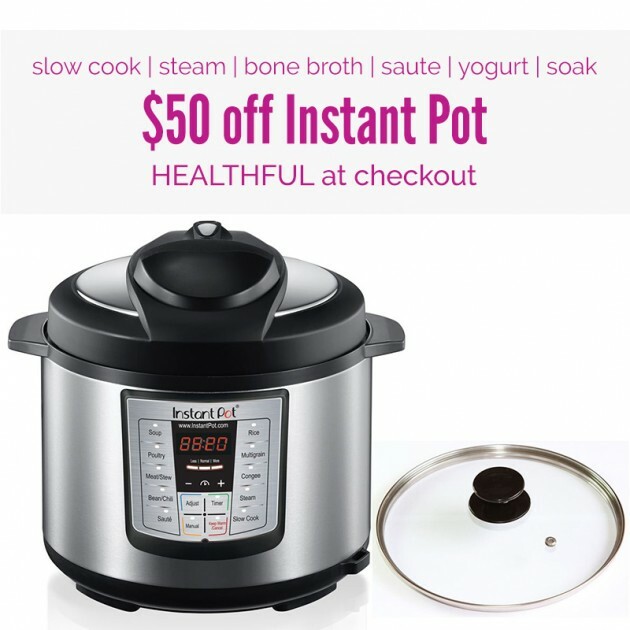 Healthful Pursuit peeps get $10 off all Instant Pot units. Get your Instant Pot here and use HEALTHFUL at checkout for your $10 off. Speeds up cooking by 2-6 times using up to 70-Percent less energy. Functions as a pressure cooker, slow cooker, rice cooker, steamer, sauté, yogurt maker and warmer with 14 built-in smart programs: soup, meat/stew, beans/chili, poultry, saute, steam, rice, porridge, multigrain, slow cooker, keep warm, yogurt, pasteurize, jiu niang. Generates almost no noise and leaks no steam. It traps all the aromas in the food without smelling up the kitchen. Read: You can make EVERYTHING in this thing. Whole meats! … and no stinky bone broth air in your house! Look, the marrow is completely gone from these ox tail bones, below. After weeks of playing with the machine; seeing what all it could do, I figured I’d start off with the simplest of the simple. Bone broth. Instead of re-inventing the wheel, I’m going to send you to a woman who knows her bone broth better than most: Michelle from Nom Nom Paleo. I met Michelle at Expo West last week, she’s a real gem. Everything I know about bone broth, I’ve learned from her. If you have a pressure cooker; like the Instant Pot, follow this guide on making bone broth. 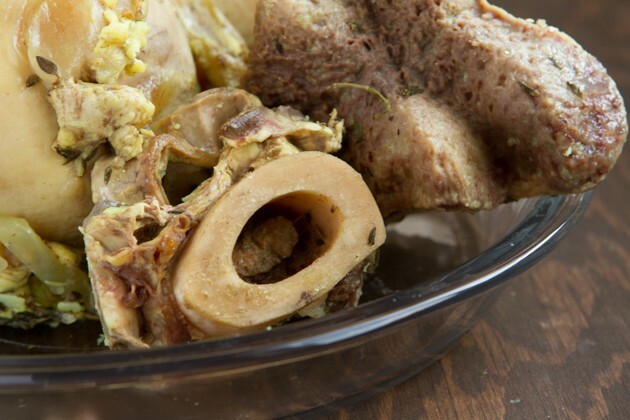 If you do not have a pressure cooker, follow this guide on making bone broth. Want more collagen? Use beef knuckles or chicken feet. For low carb, I like to use fresh herbs, celery, ginger and turmeric. Use grass-fed/finished beef bones. I get mine from TK Ranch in Alberta. 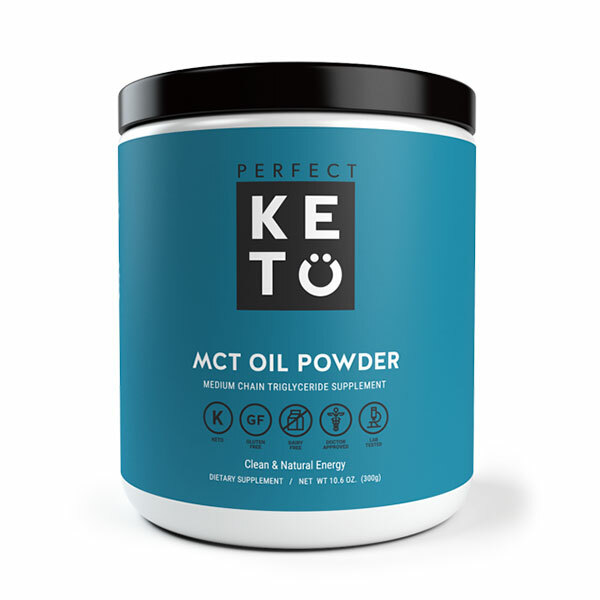 Once complete, blend a cup of broth with 1 tablespoon MCT oil. Portion out 1-2 cup servings in containers and freeze. Drink in the morning as a replacement for your rocket fuel lattes. 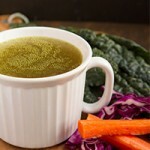 Are you interested in making bone broth? What other sorts of things have you; or would you, make with your Instant Pot?